Free Standing Kitchens In Aluminium & Steel Frame Kitchens From Gallery Kitchen Design, Halifax, Leeds, Harrogate, Cheshire & London. 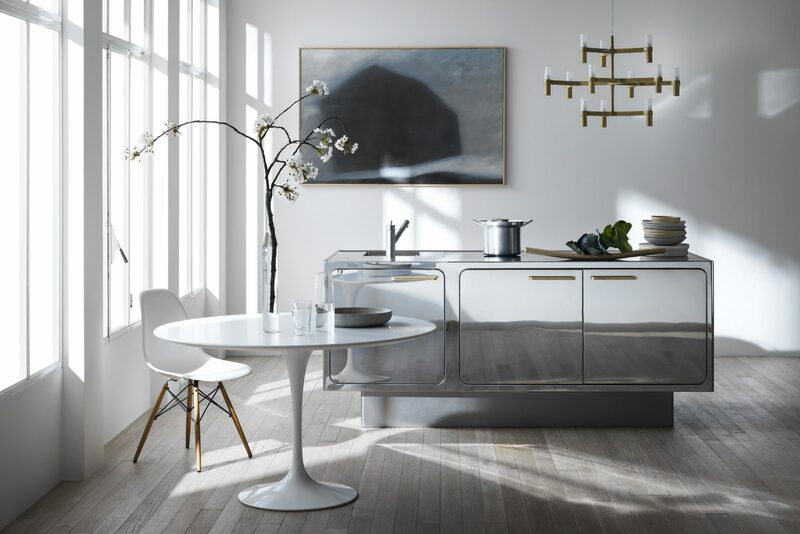 The framework of our kitchen is in aluminium or for even better self-support we recommend steel. So the kitchen does not need walls to carry the weight, meaning you can literally take your kitchen with you, when you move. 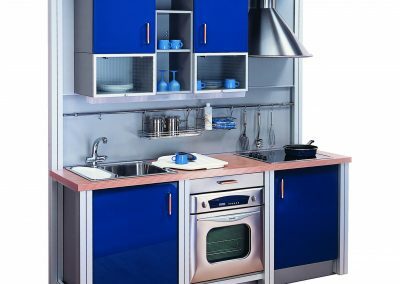 The kitchen is also suited for kitchen office, lounge or office framing system or simply a prestige refreshment point in any executive environment. A bespoke design service is available, including provision for modern drawer systems. 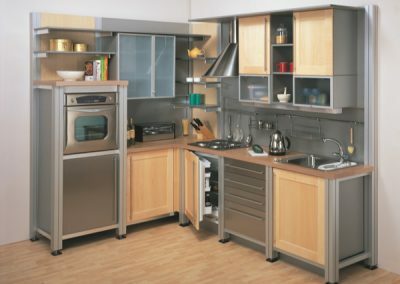 The kitchens can be finished with Wood, MDF or steel or a combination of those materials. Price is subject to specification and design. 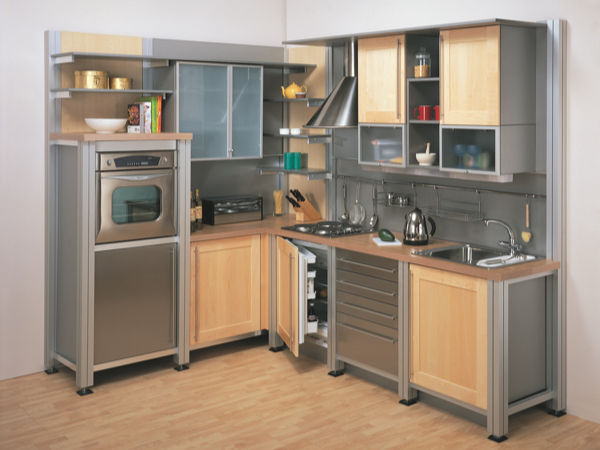 Free Standing Kitchen In Aluminium Or Steel Frame With Combined Steel & Timber Door Finishes. Bespoke Mirrored Steel Credenza Kitchen. Pull Out Mini Worktop System. 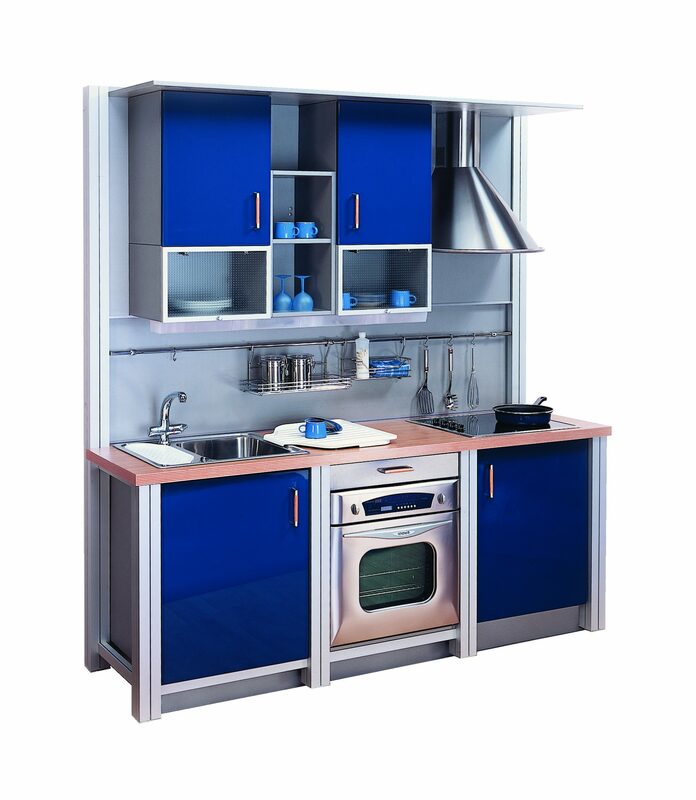 Steel Framed Kitchen In Blue.